Also pay attention to the upper levels. For over 50, they decrease to 2000 milligrams. You can get too much. The excess calcium ends up in your urine putting you at risk for kidney stones. In addition, recent reports suggest a signal that excess calcium could be bad for the heart. Track your daily calcium. Add up your calcium from your foods. Dairy products are the highest in calcium. Learn about other foods that are rich in calcium such as broccoli, kale, turnip greens, bok choy, black beans, and almonds. You might think spinach is missing from this list. It is because the calcium in spinach is not available for absorption – no matter how it is prepared. Spinach, beet greens, and chard are high in oxalates that bind to calcium. Although these vegetables are nutritious, don’t count their calcium content toward your goal. Other foods may be fortified with calcium. Typical types of foods to look for that may be fortified are cereals, breads, orange juices, fruit drinks, and tofu. Read the fine print on the individual label to find out and learn the exact amount. You will see wide variations. Pick a product to help you and your family members’ reach the calcium daily goals. 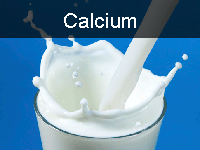 Check “Nutrition Facts.” Calcium on food labels is given as % Daily Value or DV. Since the daily value for calcium is 1000 milligrams (mg), just add a zero to the percent for the amount in milligrams. For example, a one cup serving of lowfat milk is 35%, which would be 350 milligrams. Not all products with the same name or even brand contain the same amount of calcium. Yogurt is a good example. The table shows the results of reading the labels various types of yogurt of one store brand. The brand you choose may vary but this gives you an idea of the relative calcium content for different types of yogurt. Instead of the fruit flavored variety, try substituting plain yogurt to boost your calcium and adding your own fruit. Count food first. 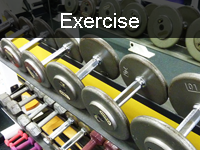 Supplements mean just that, you are supplementing your diet. If you don’t reach your goal with food, fill the deficit with a calcium supplement. This is a dynamic process. If you had eggs for breakfast instead of your usual yogurt, you may need to supplement that day but not other days if your food sources add up to your goal. Don’t just take a set amount of calcium supplements every day without taking in to account your food first. 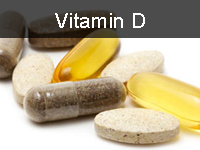 Also check you other supplements and vitamin preparations for calcium content. You may be surprised when you add up everything and realize you don’t need to be taking calcium supplements. Watch the sodium. Too much salt causes loss of calcium into the urine. Even if you are consuming enough calcium, you can sabotage meeting your goal by eating foods high in sodium along tipping the saltshaker to season your meal. Sodium is “hidden” in foods that you wouldn’t consider because they don’t taste salty. An example that might surprise you is cottage cheese. A ½ cup serving of cottage cheese contains 380 milligrams. Also note, although cottage cheese is a dairy product, it’s not high in calcium. The calcium from milk in processing goes into the whey, not the curd.